Highland Park: Brunch at Cafe Birdie 1 Vote Up! Venice: Drinks at Tasting Kitchen 0 Votes Up! Mid-City: Almost All the Drinks at Brandon’s Insid... 0 Votes Up! Studio City: Brunch and Cocktails at Gray Tavern 5 Votes Up! West Hollywood: Dinner and Drinks at Blackship 3 Votes Up! Venice: Yours Truly Restaurant from Chef Vartan Ab... 1 Vote Up! DTLA: New Drinks at Bar Franca 0 Votes Up! Echo Park: All the Mezcal at Bar Calo 3 Votes Up! Highland Park: Vegan German Food at Hinterhof Beer... 0 Votes Up! Pasadena: Check out Masters of Taste on Sunday, Ap... 0 Votes Up! Beverly Hills: Caviar, Vodka and Dessert- Oh My! T... 4 Votes Up! The Minty’s Spirits Week: Penderyn Welsh Whisky wi... 2 Votes Up! 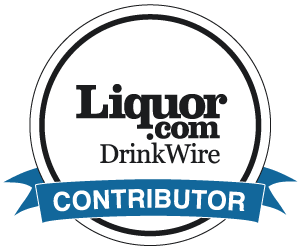 The Minty’s Spirits Week: Bols Genever 0 Votes Up! The Minty’s Spirits Week: Ciroc Brandy 0 Votes Up! The Minty’s Spirits Week: Introducing Hendrick’s O... 2 Votes Up! The Minty’s Spirits Week: Maker’s Mark Private Sel... 0 Votes Up! West Hollywood: Pacifique is Now Open 4 Votes Up! DTLA: DineLA Dinner at Rossoblu Recap 0 Votes Up! Tiki Tuesday: Stowaway at Tustin’s Union Market 2 Votes Up! Hollywood: Checking Out Chateau Hanare 1 Vote Up! Mid-City: Return to Republique 0 Votes Up! Historic Filipinotown: New Drinks at Genever LA 3 Votes Up! Sherman Oaks: DineLA Dinner at Wood & Water Re... 0 Votes Up! Mid-City: Calling All Galentines, it’s Time to go... 0 Votes Up! The Minty’s Adventures: DTLA including The Broad M... 0 Votes Up! Chinatown: Drinks at Songbird Cafe and Speakeasy B... 1 Vote Up! Highland Park: Drinks at Gold Line Bar 0 Votes Up! Highland Park: Spanish Food and Drinks at Otono 2 Votes Up! DTLA: Nightshade in the Arts District 2 Votes Up! DTLA: Happy Hour at Preux and Proper 4 Votes Up!